Fluid valet service is complicated. 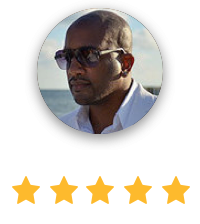 Say goodbye to employee fraud, revenue slippage, and bad guest experience. O-Valet's valet parking app allows you to fully digitize your valet business using ticketless or traditional tickets. This means advanced revenue control (including gate arms entry and exit control, custom rate codes, and lost revenue reports), employee performance, and more. 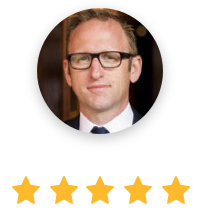 It also means a seamless customer experience from vehicle delivery to retrieval. By using any ticket type such as SMS, plastic, or paper, your valet operation will reduce your operating expenses while increasing revenue on the curb from every vehicle. O-Valet makes the entire process seamless. Take a look. As soon as your guest arrives, your valet driver issues a SMS, plastic, or paper ticket, and takes the guest's keys. Their vehicle is then logged into the O-Valet system. 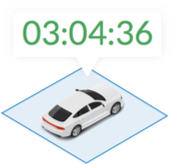 The driver's route is tracked for maximum efficiency. The key is secured and the vehicle location and duration of parking time is recorded. Guests can request their vehicle in advance via SMS, an app, in-person, or at any kiosk on your property. Valet staff are immediately alerted. From vehicle entry to payment, every step of the guest experience is logged into O-Valet. Customers can even request their vehicle in advance. With the O-Valet app, everything is accounted for. No more missing keys or vehicles. No frustrated guests waiting. No inefficiency. Just a smooth-running system that helps to optimize your business and leave your customers feeling contented. 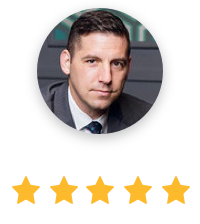 With a full time and attendance system built-in, explore reports on key metrics including staff productivity, early and late attendance, hours worked, time on break, and compare them against the rest of your team to provide objective performance reviews and reward those who you cannot always be there to oversee. You can even request custom reports on a wide range of metrics, including payment methods used, best and worst-performing employees, time spent on breaks and lunches, and much more. Carefully track revenue from any rate code, custom event rate, overnight, transient, and more. Post charges directly to the guest’s hotel folio and eliminate night auditor’s having to manually post charges. 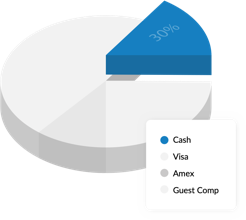 For valet operators, group different payment collection methods in custom categories and provide your client’s with payment collection breakdowns in a single, easy to see report. Track labor by the minute and use objective data rather than hourly averages to effectively schedule staff. This eliminates labor where it isn’t needed, and lets valet staff work during periods where customer expectations require them to be present and ready. O-Valet is far more than just a valet parking system. We offer a sophisticated system of modules that complement the O-Valet tool and further improve your operations and guest experience. Whether you are a parking operator, valet operator, or provide valet in-house, we have a range of software and modules to suite every need. O-Valet Eye – Sensor-triggered HD cameras to record vehicle conditions before and after parking. Gate Arm Integration – Integrates with any gate arm installations to verify tickets, create restrictions, and log barcode scans for auditing and reporting. Vehicle Request Kiosks - 24/7, automated kiosks with barcode scanners and payment terminals for a better guest experience. O-Lounge TV – Broadcasts vehicle announcements and alerts, allowing guests to wait for their vehicle in your relaxed lounge. Bluetooth Label Printers – Print low-cost valet tickets, replacement tickets, or labels keys with specific guest information for hotel and condo residents to add even more flexibility. Turn the guest experience into a seamless process. 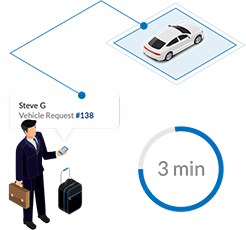 Guests can request their vehicle in advance from their room, and hotels can integrate O-Valet into their PMS and post guest valet charges directly to their folio. Save the valuable time of guests and employees. 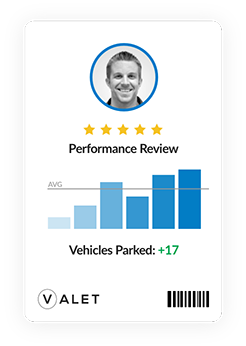 Guests can request their vehicles in advance directly or via office receptionist, making O-Valet perfect for meetings while easily billing valet usage to the correct client. Make a stressful situation simpler for hospital guests. Guests can drop their vehicle off at the hospital entrance and use kiosks to expedite the vehicle request process. Improve the experience of mall visitors. O-Valet can be integrated into loyalty programs to elevate the shopping experience. Cross-promote to guests based on their loyalty level and vehicle. Add an element of luxury to the lives of residents. Permanent membership tags allow residents to seamlessly have their vehicle parked and retrieved with no ticket, while fully tracking their multiple vehicles. Leave diners feeling completely satisfied with their experience. Restaurant employees can request vehicles in advance, avoiding unnecessary waiting time. Valet bills can also be added directly to their final bill. Based on your venue type. Interested in seeing the O-Valet app up close? Get a free, one-on-one demo today! Sign up below.